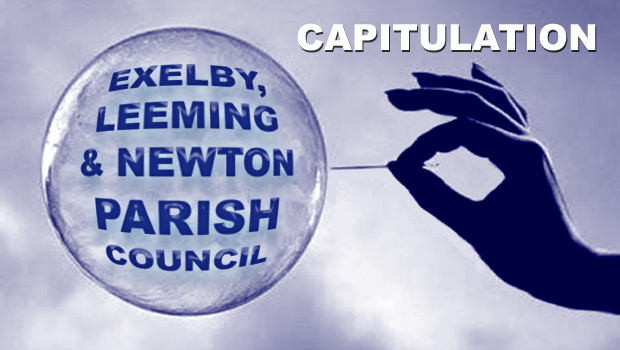 an “In My View” article by NIGEL WARD, reporting on one very welcome small step in the process of dragging Exelby, Leeming & Newton Parish Council into the 21st Century – albeit, kicking and sulking. 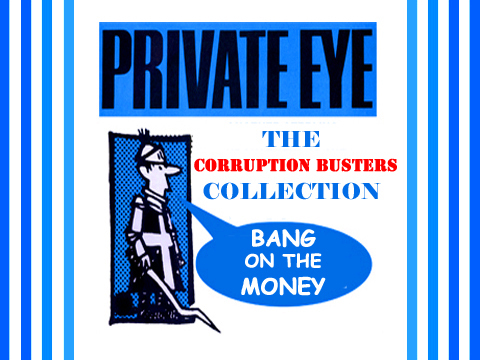 It will be interesting, in due course, to review the Minutes of the Meeting – if ever they are published. Unfortunately, ELN has not complied with the requirements of the Local Government Act 1972 in respect of the ratification of Minutes for some considerable time now, so it remains to be seen whether or not Minutes will appear in time for the 6th October 2014 scheduled meeting of Full Council. Fortunately, the entire proceedings are safely in the bag, so any discrepancies that may emerge will be easy to refute. I arrived late at the Meeting (for reasons of my own) but I was able to follow the proceedings in transit due to the wonders of modern technology. 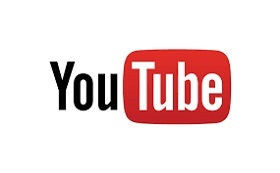 Of general interest was only the Council’s views and intentions regarding filming and recording of Meetings (Agenda Item 3) and its intentions regarding the disgraceful departures from the recently-adopted Complaints Procedures that was ignored during then-Councillor Ray WRIGGLESWORTH’s brief tenure as Chair of the Complaints Committee (Agenda Item 4). My perspective on Agenda Item 3 is that the Council may confabulate whatever policy it wishes in relation to filming, but the law remains clear; members of the public may record/film/Tweet/etc at will; the Council has no power to attempt to inhibit members of the public from doing so in any way whatsoever. Case closed. Moreover, the Council needs to be clear that it is not permitted to film or photograph members of the public, or cause members of the public to be filmed or photographed by any third party. 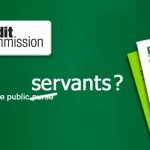 To do so is a breach of the Data Protection Act 1998. 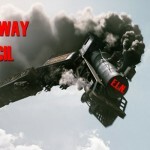 ELN has operated outside of its own Standing Orders as a matter of practice and policy for quite some time now. Quite why the need has suddenly been discerned to up-date the Standing Orders in such a way as to render them compliant with general legislation is unclear. 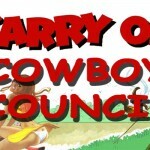 But perhaps the Council has finally been brought to a satisfactory understanding of its statutory duties and is finally making an attempt to put its house in order. I shall be watching closely. 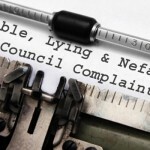 With regard to Agenda Item 4:- The Council resolved to refer all of the outstanding Formal Complaints to Hambleton District Council – where Monitoring Officer Gary NELSON has repeatedly stated that he will intervene only at the behest of the Council, and only in relation to breaches of the Localism Act 2011 insofar as it regulates the declarations of interests for Councillors’ Registers of Interests (ROIs). Failing to up-date ROIs within 28 days of a disclosable interest arising is a criminal offence. None of the ELN Councillors declared interests between 1st July 2012 (when the Localism Act 2011 came into effect) and May/June 2014 (the panic response to my Freedom of Information request of 24th May 2014). In short, a long series of criminal acts by all of the then-Councillors is well-documented and will now form the subject matter for consideration by the HDC Standards Procedure at the District Council, followed by referral to the courts. The hasty resignations of Ray WRIGGLESWORTH, John PEIRSON and Brian SHUTTLEWORTH will have achieved little if they were intended to escape the consequences of consistently breaking the law for just short of two years. 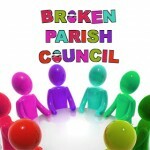 It is unfortunate that the Agenda for this Extraordinary Meeting took no account of the astonishing record of Exelby, Leeming & Newton Parish Council in respect of requests for information under FOIA, SAR and DPA legislation, of which many (double figures) remain without either acknowledgements, designated case numbers or responses of any kind. The Information Commissioner’s Office has already reprimanded ELN on a number of occasions – to no avail. 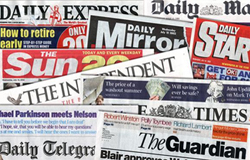 The Council’s on-going failure to comply with the terms of the Freedom of Information Act has now attracted the attention of the Leader of the House of Commons, the Rt. Hon. William HAGUE (Conservative Member of Parliament for Richmond). On the bright side, the general atmosphere was very far removed from the 21st July 2014 aborted Extraordinary Meeting (the infamous ‘Rent-a-Mob’ incident), apart from Councillors casting anxious glances at the door every time someone entered. With the exception of Councillor Louis ROBINSON, the present (and for nearly a generation) holder of the grass-cutting contract, whose face was thunder when the Chair, Councillor John KETTLEWELL, departed from the Agenda and introduced an extra Item under the rubric of “Any Other Business”) – whereupon a member of the public expressed a wish to tender for the grass-cutting contract. When the Meeting closed, poor Louis stomped out like a man who had just had his pockets picked at a friend’s funeral. 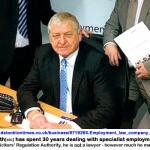 [Of course, it is equally possible that Louis ROBINSON’s discomfort has more to do with his precarious position as the sole remaining signatory to then-Councillor Ray WRIGGLESWORTH pack-of-lies ‘Minutes’ to the Complaints Committee hearing of 23rd June 2014. Now that Ray WRIGGLESWORTH and John PEIRSON – the other signatories – have ducked out the back, Jack, Councillor ROBINSON has been left to face the music alone]. 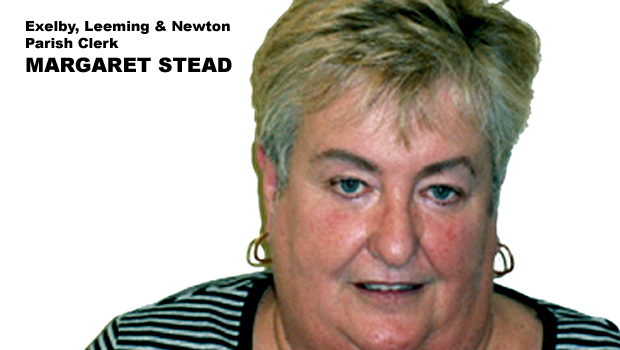 Another member of the public complained about the complete absence of any acknowledgement or response from Parish Clerk Margaret STEAD to emails seeking to ascertain public information about ELN. 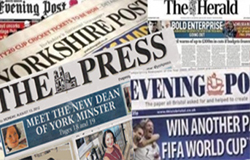 The response was that the member of the public should have had a response. Indeed. But what would be done about it? That, apparently, was a matter for the next Meeting. Rather like wading through treacle, is it not? 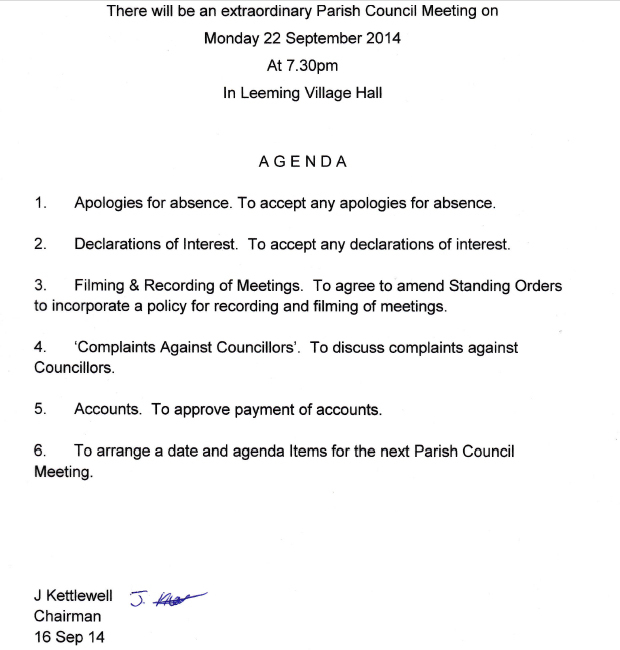 The next Meeting of ELN Full Council is scheduled for 6th October 2014. Meanwhile, habitual non-responsiveness on the part of the Parish Clerk has now been compounded by the fact that it is not even possible to by-pass the Council’s email address by directing hard-copy correspondence to the Chair, Councillor John KETTLWELL, whose letterbox has been sealed. One wonders on what basis electors can be expected to pay for the Precept of a Parish Council that has effectively redefined the word ‘dysfunctional’. 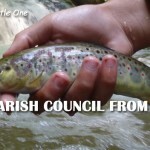 Certainly, the election of Parish Councillors at the ballot-box – as opposed to this perennial round of cronyism that sees the same self-servers attaining office with no mandate – would generate more confidence. That, and a younger and more able Chair. Speaking of whom; when the present Chair, Councillor John KETTLEWELL, closed the Meeting, he did so with a palpable air of relief – a man visibly afraid of his own electorate. Perhaps the time has come for Councillor John KETTLEWELL to pass the baton of governance to a less diffident type. Maybe the Council could consider the Co-option of County Councillor Carl LES, whose presence (along with his colleague, County Councillor Arthur BARKER) was perhaps intended to offer some support to ELN. 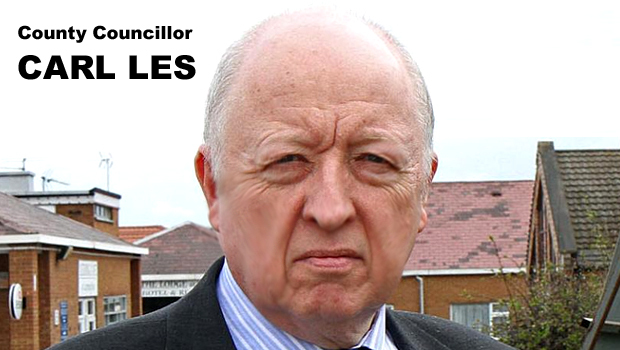 Then again, County Councillor Carl LES has lost much of his bluster, following the BBC ‘Inside Out’ documentary that publicly vindicated our exposure of his doubly-claimed Mileage Expenses – mere shadow of his former interest. 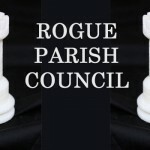 It would be remiss of me to overlook the departure of Vice Chair Councillor Dorothy DIXON, who left the hall in high dudgeon – no doubt displeased at the prospect of the Formal Complaint against her in respect of her non-declaration of her interest in the Planning Application for Clapham Lodge finally being referred to the HDC Standards Procedure. 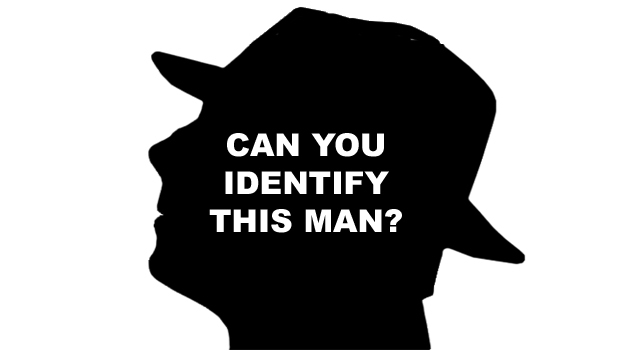 Finally, if any reader can identify the man in the silhouetted picture (below), that would be most helpful. 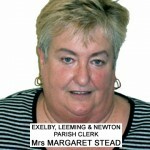 This may be the man seen tampering with the Parish Noticeboards during the afternoon of 27th August 2014 – the day that the libellous fake Police Notices were posted in Londondery and Leeming.